Karl graduated from Michigan State University with a BA in Exercise Physiology and then on to medical school to get his DO degree from Nova Southeastern School of Osteopathic Medicine. He is board certified by the American Board of Internal Medicine, the American Board of Obesity Medicine and in Endocrinology, Diabetes & Metabolism. He is currently director of the Diabetes, Obesity & Metabolic Institute in Bethesda, MD. 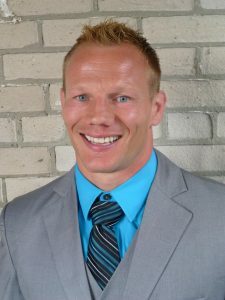 In college he wrestled at the 149 pound weight class for the Spartans and was ranked as high as 4th in the nation at one point, while also garnering Academic All-American status. He also served as the strength and nutrition coach the year following his graduation. He has lived a Leaner Living lifestyle throughout his whole life and thrives on teaching others how to do the same. Dr. Nadolsky promotes practicing what you preach. For us, that means that everything we teach is practiced by us at all times. That is what separates Dr. Nadolsky from the rest of the “gurus.” He has the knowledge and puts it to good use, and you can tell by taking one look at him. Dr. Karl will also be the first to admit that he does not have all of life’s answers, but you can be sure he is doing the things he advocates. Around here we call him the “Lean Doc,” not only because of his looks but because of his fervor of treating type 2 Diabetes, obesity, and heart disease. While Dr. Nadolsky looks like a bodybuilder, his physique comes from an extensive background of athletics, nutrition, and simply consistency with healthy living. He will tell you though, that it is more about “what’s on the inside that counts,” than the outside. He states that “If you take care of your inside, the outside will follow suit.” This tends to be the case in the patients he sees. Dr. Karl Nadolsky is a member of the American Association of Clinical Endocrinologists (AACE), The Endocrine Society, The Obesity Society, American Diabetes Association and the National Lipid Association. He recently co-authored the AACE Clinical Practice Guideline for Comprehensive Medical Care of patients with Obesity (check out the accompanying colorful algorithm). For more about his story into endocrinology, check out his feature in the March 2016 issue of Endocrine News.